Indoors or outdoors, amidst a crisp garden or on a city rooftop, these hand-made, lightweight concrete pieces suit every occasion. 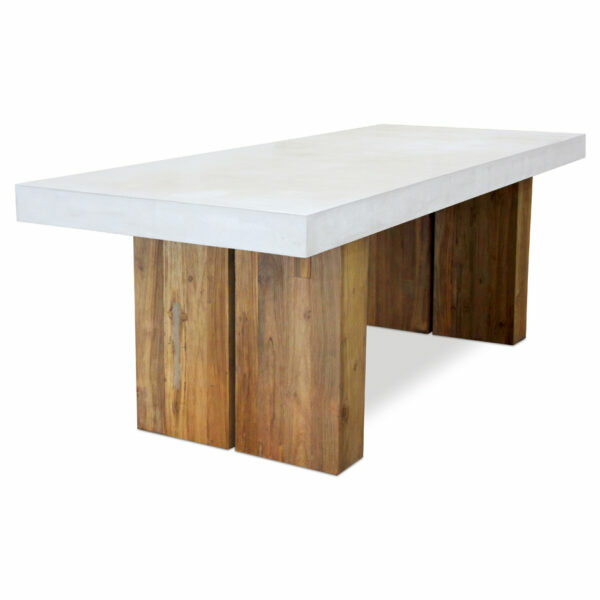 Handmade lightweight concrete top, solid reclaimed teak bases. This is a handmade product. Each individual item may exhibit color and veining variations.